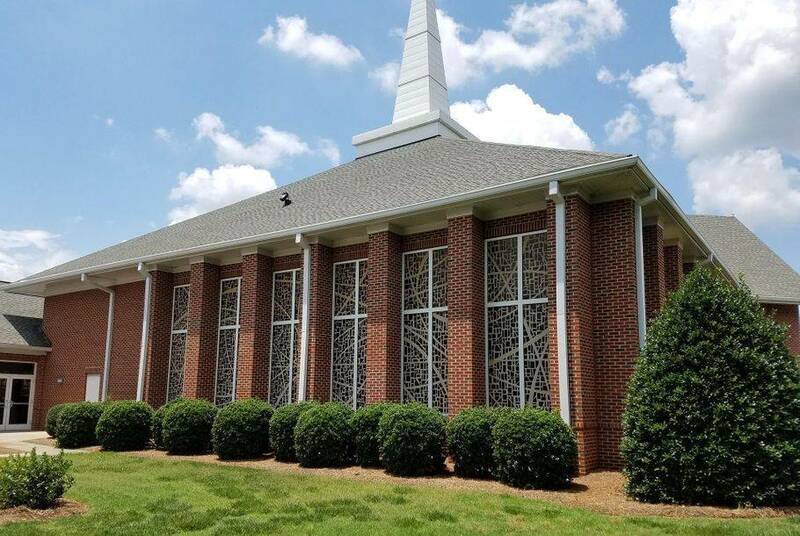 In 2006, Philadelphia United Methodist Church in Fort Mill, SC built a new sanctuary with offices and classrooms. 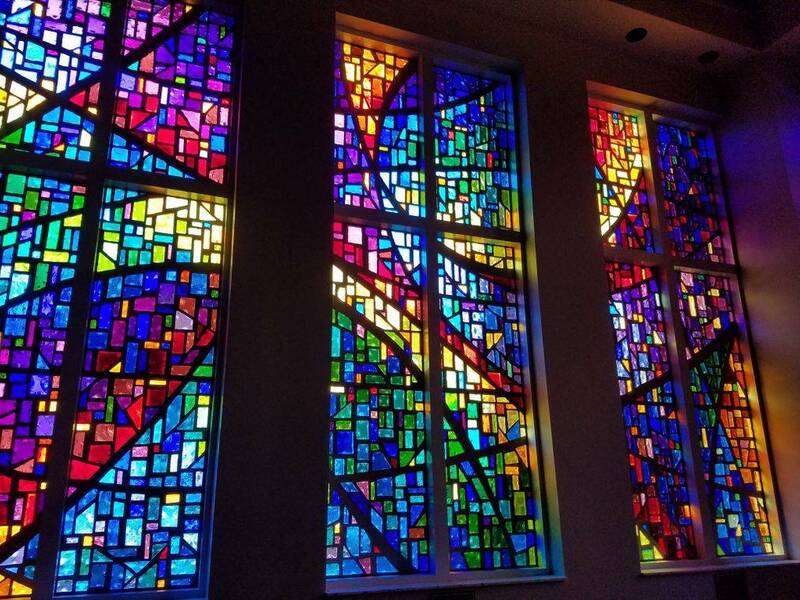 The existing sanctuary had opalescent glass windows made by High Point Art Glass over 50 years ago. 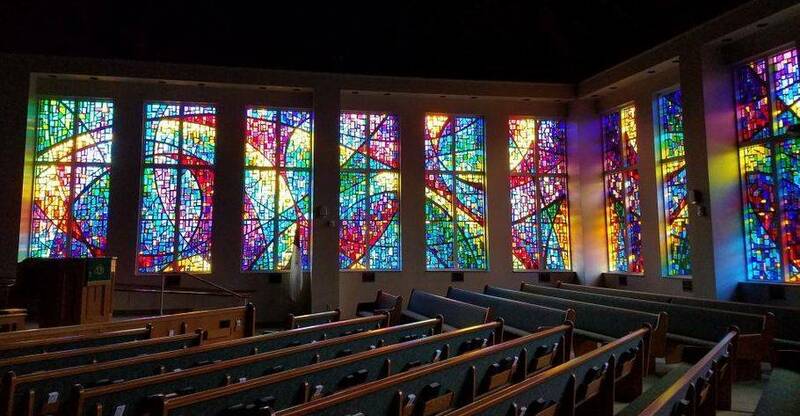 Laws Stained Glass Studios removed these (10) opalescent glass windows (size 31" wide x 56" high). These windows were taken out of their wooden sashes, crated, and stored. In the new building, Laws made new white aluminum frames for these windows. They were placed in the hallway and in a classroom. On the exterior, 1/4" Lucite acrylic was installed as the protective covering. 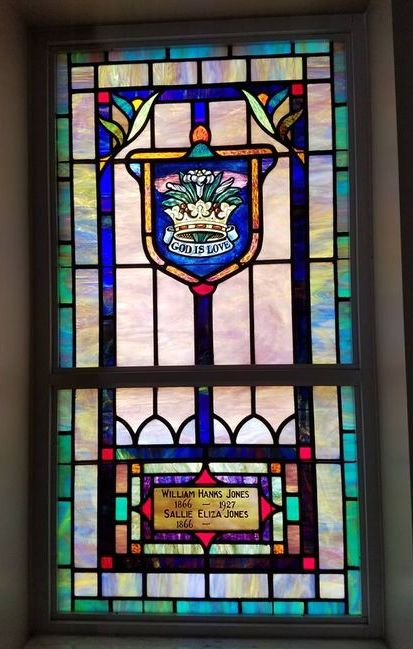 In the new sanctuary, Laws Stained Glass Studios provided (13) faceted glass windows. The twelve large windows (size 68" wide x 164" high) had an abstract design that flowed from one window to the other. These windows make up the majority of two walls. 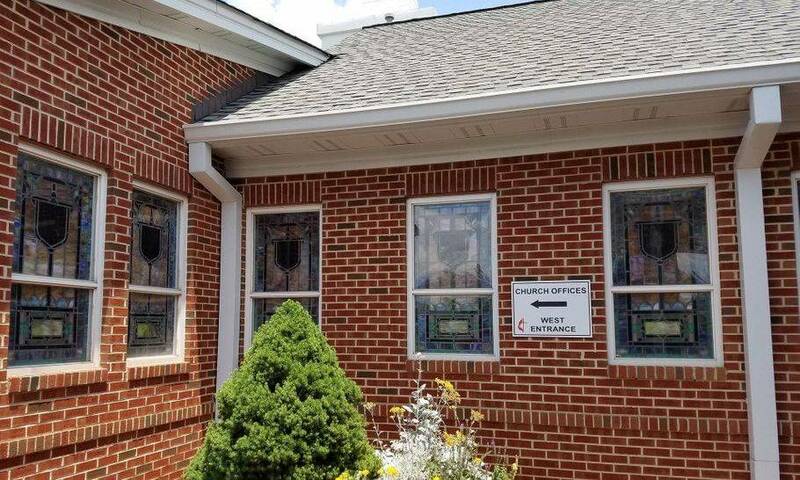 They were set into an aluminum curtain wall frame provided by the church. 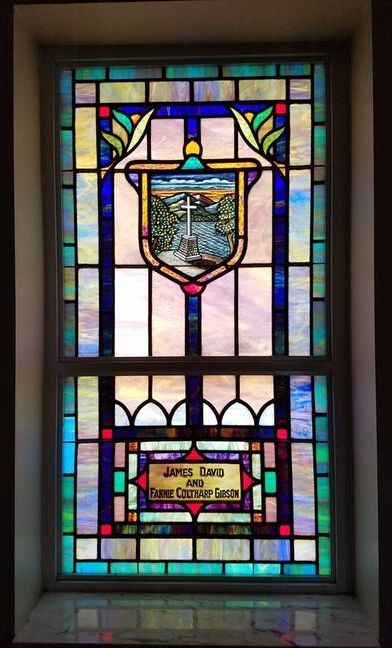 Behind the pulpit, the 7-1/2 ft. round window which is divided into four sections was installed into new white aluminum frames. A cross was placed in between the sections. 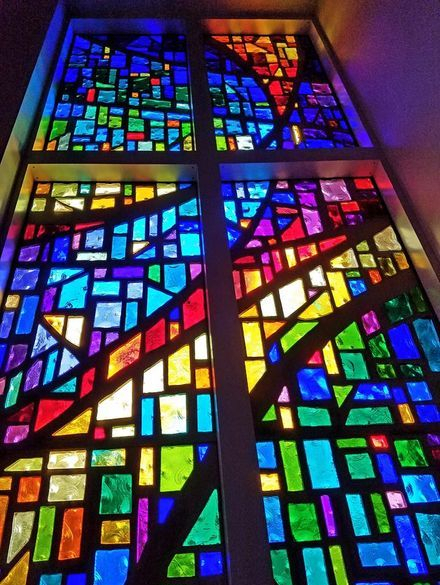 Below are photos of the faceted glass windows, however they do not adequately convey the vibrancy and depth of color that the windows display. The photos were taken at about 1pm. The windows let in a lot of colorful light, but not too much. 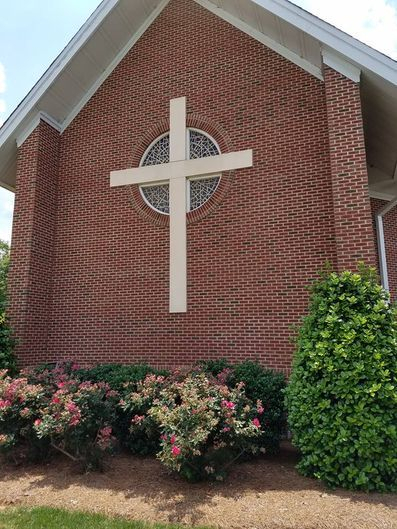 The church can easily display two projection screens at the pulpit area during a service. 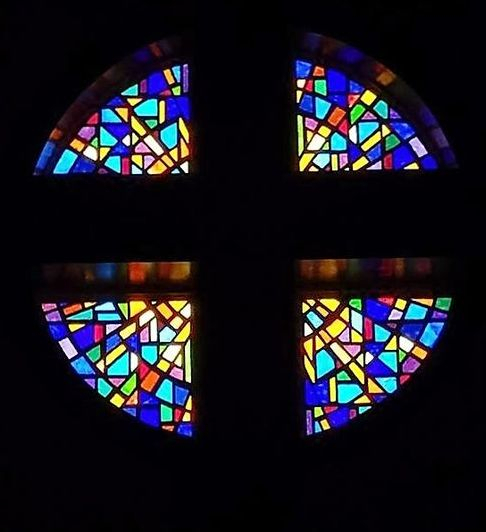 We encourage you to visit the church to get the full appreciation of the windows. Once you do, you will never forget the experience. 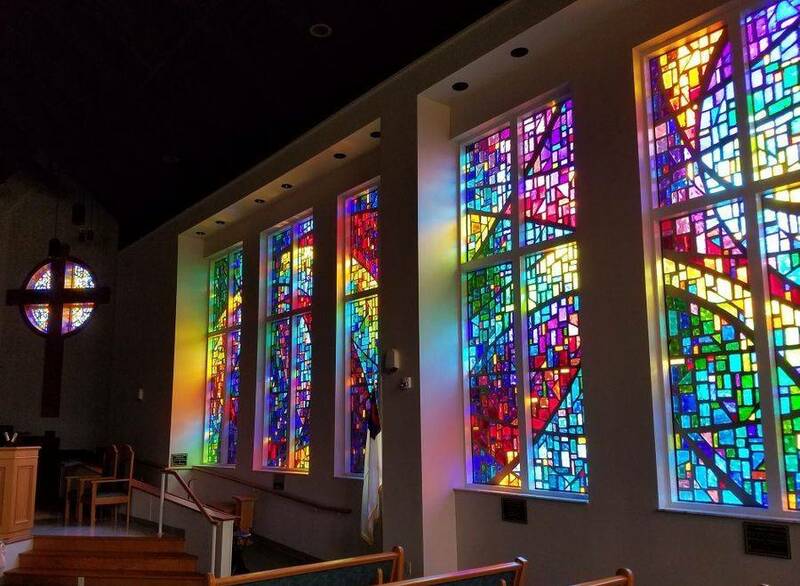 Faceted glass windows in the new sanctuary. This is an abstract design that flows from one panel to the other. Another view of the faceted glass windows. Photographs are limited in showing the rich depth of color these windows have. Pulpit window from the outside. It is set into a white aluminum frame. 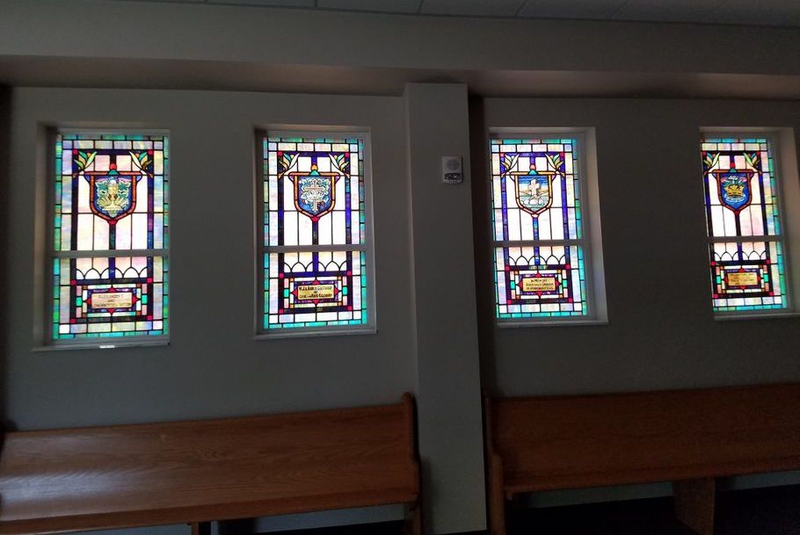 Existing opalescent glass windows that Laws removed from the old sanctuary and placed them into new while aluminum frames. Existing opalescent glass windows installed into new white aluminum frames with 1/4" Lucite acrylic as the protective covering. This photo was taken in 2016, 10 years after it was installed. Note how clear the Lucite remains.